The Town of Bayfield Parks and Recreation Department is committed to creating a community through people, parks, and programs. Welcome to the Town of Bayfield Parks and Recreation Department page. We are pleased to provide a variety of programs, facilities, and services to meet citizens' recreational needs. Throughout the year, the department offers a variety of youth and adult programs, yoga classes, and special events that serve all ages. Parks & Recreation Department oversees 33+ acres of parks lands, open space and trails within the town limits of Bayfield. There are eight beautiful town parks in the Town of Bayfield with walking trails, picnic areas, athletic fields, and playgrounds for family fun in Bayfield. Eagle park has a pavilion that can be rented for parties or special events. Each year, staff members plan and organize serveral community events such as the 4th of July Celebration, Spring Festival, and Old Fashioned Christmas. Bayfield Parks and Recreation also work with a variety of community organizations and groups to provide Town-wide special events such as Downtown Block Parties and Heritage Days. Early registration is now available for the Easter Egg Scramble. Early registration deadline is April 5th. Bayfield Parks and Recreation is now offering a horseshoe league. Please register your team at town hall. Registration deadline is May 10th. Check out the final design! Come join us for fun in Joe Stephenson Park with a visit from the Easter Bunny and a GIANT Easter Egg Hunt! Softball registration is now available. Registration deadline is May 3rd. 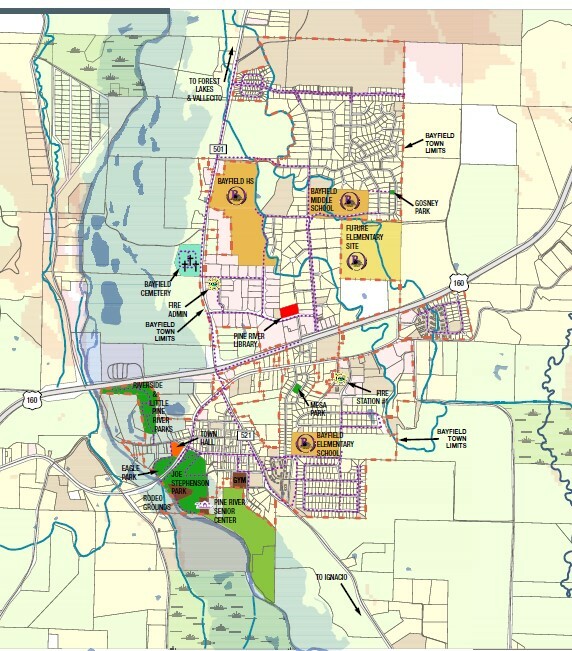 The Town of Bayfield Parks, Open Space, Trails, and Recreation Master Plan is now available for viewing.